Business groups are voicing their support for the Department of Labor's rule that aims to help Americans find coverage by expanding the use of Association Health Plans. The proposed rule essentially changes the definition of what an employer is so more sole proprietors and small business employees could ban together and gain insurance through Association Health Plans or Small Business Health Plans. Chairman of the House Committee on Small Business Steve Chabot (R., Ohio) said the rule would help employees gain coverage through more flexible and affordable options than before. "While the tax reform package Congress passed and the president signed into law in December effectively ended the burdensome individual mandate, small businesses are still subject to Obamacare’s employer mandate and have few options to provide affordable health care choices to their employees and families," Chabot said. 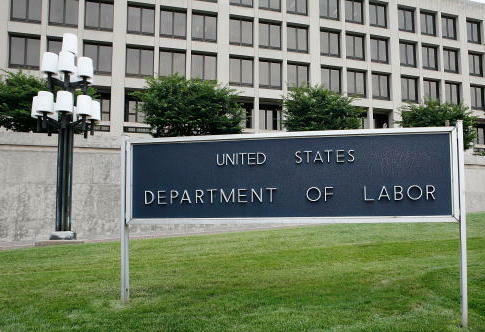 "DOL’s proposed rule would allow small employers and sole proprietors to join together and form Small Business Health Plans to provide their workers more affordable and flexible health care options." The National Retail Federation, the world's largest retail trade association that represents main street retailers like grocers, department stores, wholesalers, and Internet retailers, has announced its support for the rule, saying it will help expand small businesses' access to affordable health insurance. "Main Street retailers need more affordable health care options and a level playing field with larger companies that are better positioned to negotiate for lower insurance costs," said David French, the senior vice president for government relations at the National Retail Federation. "For years, we've called for Association Health Plans to ensure that health care coverage is within reach for small retailers and their employees, and today's action by DOL brings us one step closer to making this commonsense reform a reality." The federation has supported Association Health Plan bills in the past because it believes they help small businesses compete with larger ones in providing affordable health care. The American Trucking Associations, which is the largest trade association for the trucking industry, said it supports the DOL's proposal. Most of the trucking industry—90 percent—consists of carriers that have fewer than six trucks, which makes it able to benefit from Association Health Plans. "Today's proposal is a step in the right direction for improving access to affordable, quality health care for all Americans," said Chris Spear, president of the American Trucking Associations. "We were pleased in October when President Trump signed an executive order allowing self-employed individuals to pool together to purchase health insurance plans sponsored by larger associations and groups, and we are happy to see his administration take the next step in advancing this plan today." This entry was posted in Issues and tagged Department of Labor, Small Business. Bookmark the permalink.